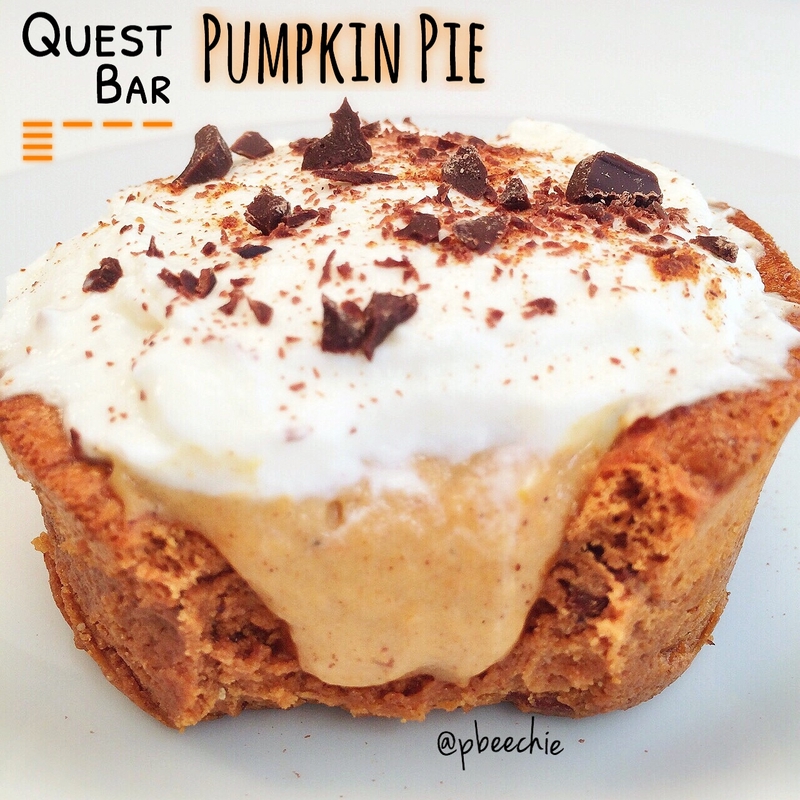 Dessert for fall! Such pumpkin. Many autumn. Very protein. Wow. Microwave 1 cinnamon roll quest bar for 8 seconds to soften. Spray a small ramekin with nonstick spray and mold your quest bar inside to create a crust. Bake at 350F for 8 minutes. 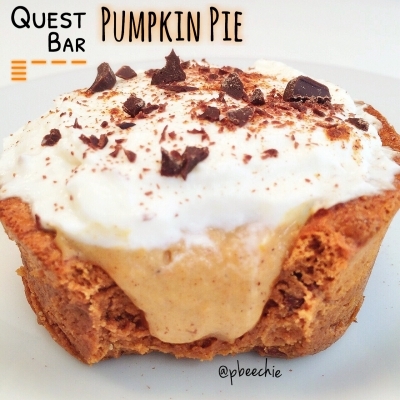 Mix 2 TBSP plain Greek yogurt, 2 TBSP pumpkin purÃ©e, 1/2 scoop cinnamon swirl cellucor whey protein, 1/4 tsp pumpkin pie spice, and half of a stevia packet. Place inside the baked quest crust. Mix the other half of the stevia packet, 3 TBSP plain Greek yogurt, and 1 tsp sugar free white chocolate pudding mix. Place in the crust on top of the previous layer.